TIJUANA, Baja California, Mexico — Veteran SoCal desert racer and popular action sports television announcer Cameron Steele continued his push to the top of the marquee SCORE Trophy Truck class as he leads after the halfway point of this week’s special format, internationally-televised Lucerna Hotels & Resorts Tijuana 22nd SCORE Desert Challenge. Starting fourth physically in the elapsed-time race, Steele, 50, of San Clemente, Calif., finished first physically for the first two of four 33.7-mile laps in a time of one hour, 39 minutes, 53 seconds while averaging 40.49 miles per hour in his No. 16 Monster Energy Desert Assassins Chevy Silverado. Steele posted consistently solid lap times Saturday of 49 minutes, 37 seconds and 50:15. His first lap time was the fastest of the day. 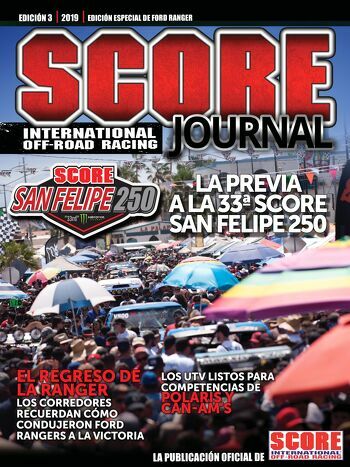 Racing concludes Sunday at Rancho Casian on the southeast outskirts of Tijuana. 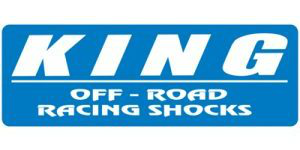 With 161 official starters from 22 U.S. States and six countries, the race features classes for Pro and Sportsman cars, trucks, UTVs, motorcycles and quads. The event features two days of racing scored as one race. The race route is a 33.7-mile loop course through the challenging hills in the area that each class is running two laps each day for four total laps and 134.8 total race miles. The classes have been split into three groups and they are running one session each day to determine the final results. Saturday’s first half of the race covered 67.4 total miles of the 134.8-mile race. The elapsed-time race with a two-hour-fifty minute time limit each day for Groups 1 and 2 and 2:20 for Group 3 racing will start at 6:30 a.m. PT Sunday. Group 1 has motorcycle and quad classes, Group 2 has the bulk for the car and truck and all UTV classes and will start their final two-lap run at 11 a.m. PT Sunday. Group 3 with the marquee SCORE Trophy Truck and SCORE TT Legend divisions along with the Unlimited Class 1, Trophy Truck Spec and Hammer Trucks will run the final half of their race (two laps) Sunday afternoon at 3:30 p.m. PT. Racing for Group 3 featuring the SCORE Trophy Trucks will start each day at 3:30 p.m. PT and racing will finish Sunday at approximately 6 p.m. The post-race awards celebration will be held in the start/finish line area on Sunday, at 5:30 p.m. PT for Group 1 and Group 2 and at 7:30 p.m. PT for Group 3. Justin Morgan of El Cajon, Calif. put in consistent lap times to take a solid lead among all motorcycles in the race as well as his own Pro Moto Unlimited class with an overall time for the first half of the race of 1:40:35 with an average speed of 40.21 mph. 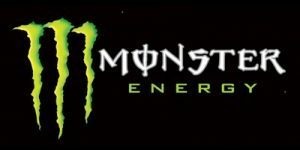 Morgan, who teams with Mark Samuels, Yucca Valley, Calif. and the pair has won both prior SCORE Baja races this year, rode solo Saturday and is expected to ride the 67.4 miles solo again on Sunday. Morgan ran lap times of 50:11 and 50:24 on Saturday on his No. 7x Honda CRF450X. SCORE desert diva Kristen Matlock, Alpine, Calif. is not only at the top of her Pro UTV Naturally Aspirated class at the midway point she was the fastest in elapsed time over 26 UTVs in the race, including all 19 in the traditionally faster Pro UTV FI class. She covered the two laps in 1:53:36 in her No. 1954 Polaris RZR XP4 1000. Leading the Pro UTV FI (Forced Induction) class which had a race-high 19 starters Saturday, is Wes Miller, Las Vegas, Polaris RZR XP Turbo. His time was 1:54:11 in his No. 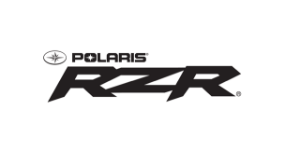 2989 Polaris RZR XP1000. Other class leaders after the first two laps include: SCORE TT Legend – No. 12L Gustavo Vildosola Sr, Mexicali, Mexico/Scott Bailey, Riverside, Calif. Chevy Silverado (builder-ID Designs); Trophy Truck Spec – No. 295 William Hedrick Jr, Vicente Guerrero, Mexico, Geiser-Chevy; Class 1 – No. 100 Brian Wilson, Lakewood, Calif. Jimco-Chevy; Class 10 – No. 1023 Broc Dickerson, Brawley, Calif., Alumi Craft-Chevy; SCORE Lites – No. 1218 Gustavo Pinuelas Jr, Mexicali, Mexico, Jimco-Chevy and Class 1/2-1600 – Oscar Alvarez, McAllen, Texas, Romo-VW. Among the other motorcycle class leaders halfway through the race are Francisco Septien, Ensenada, Mexico (Pro Moto Ironman, Honda CRF450X), Ryan Liebelt, Reedley, Calif. (Pro Moto 30, Yamaha WR450X), Philip Jaramillo, Tijuana, Mexico (Pro Moto Limited, KTM 350XCF), Giovanni Spinali, El Cajon, Calif. (Pro Moto 50, Yamaha YZ450X) and Guy Laycraft, Canada (Pro Moto 60, Honda CRF450X). Leading the Pro Quad class is Said Sanchez, Tijuana, Mexico (Pro Quad, Honda TRX450R). With 161 official starters, there are racers from 22 U.S. States and six countries. Nations are USA, host country Mexico, Canada, Italy, New Zealand and Peru. States with racers are Alaska, Arizona, Arkansas, California, Colorado, Connecticut, Florida, Idaho, Kansas, Louisiana, Missouri, Nevada, New Jersey, New Mexico, New York, Oklahoma, Oregon, South Dakota, Texas, Utah, Virginia and Wyoming. The 161 total is the eighth-most in the 22-year history of the SCORE Desert Challenge. Starting and finishing adjacent to Rancho Casian in Southeast Tijuana, the race route travels in a counterclockwise direction. The 33.7 tough terrain miles were designed and put together by SCORE Race Director Jose A. Grijalva. It covers much of the land used in last year’s 23.4-mile loop, especially from Rancho San Vicente (where the race started last year), considered the roughest section of the course. There are two full-stop checkpoints on the course. Checkpoint No. 1 will be at race-mile 16.1 and Checkpoint 2 will be at race-mile 25.8. The final sprint of several miles back into Rancho Casian at the end of each lap is the fastest section of the race course. While this is the second time in Tijuana, the SCORE Desert Challenge has been held 21 previous times since it first began in 1995. It was held in Laughlin, Nev., USA, from 1995 through 2012, in Plaster City, Calif., USA, in 2014, in Rosarito Beach, Baja California, Mexico in 2016 and in Tijuana in 2017. The 2018 SCORE World Desert Championship airs domestically on the El Rey Network and internationally through syndication and ESPN International.